Making sure your loved ones are taken care of involves the diligence of an experienced estate planning lawyer. Our office is located in Upland and we regularly set up estate plans and litigate probate from residents of Claremont, CA. Moga Law Firm focuses on estate planning to set up living trusts and prepare a last will and testament, probate litigation and trust administration. Our office understands how important these legal documents & procedures are and we work directly with you to achieve your legal goals. 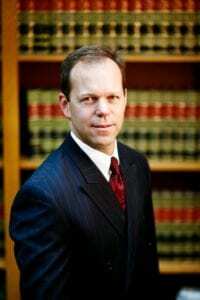 Scot Moga has been an estate planning & probate lawyer serving Claremont for over 20 years for living wills, final wills and testaments, and any other type of estate planning document. Our expertise in California wills & trusts makes us a highly recommended local law firm for attorneys and judges. If you’re a trustee or founder of a trust, The Law Offices of Scot Moga can help you establish or maintain a trust. We’ll explain to you the benefits of trusts and trust property and help you plan the best option for you and your family. You might be facing probate court & litigation if there was no will or trust left by a deceased family member. Property, bank accounts, and real estate may be taken into consideration to pay off debt and be distributed as seen fit by a probate court. Scot Moga has handled countless probate litigation cases and is often referred “the tough ones” by local judges. Some estates have to go through probate, and the heirs are sometimes forced to wait many months, and unfortunately end up receiving far less than they could have in inheritance. We urge you to set an appointment today and learn about estate planning strategies you can use to avoid probate court. At Moga Law Firm we pride ourselves on providing outstanding personalized service to each and every one of our clients. While many firms cut costs by outsourcing document preparation to paralegals, we promise that you’ll work directly with Scot on all documents and case litigation. As a 1 attorney firm we are your only lawyer, and you will be treated like you’re our only client and we’ll communicate with you regularly so you don’t get lost in the legal process. Every family situation is unique and different, we accept all client’s lifestyles and circumstances and pursue your wishes with a custom strategy. To schedule a free initial consultation, call (909) 931-2444 or contact us online. Se habla español.